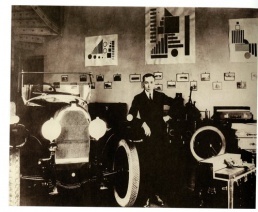 Mechano-faktura exhibition held in an automobile salon of Austro-Daimler in Warsaw, 1924. 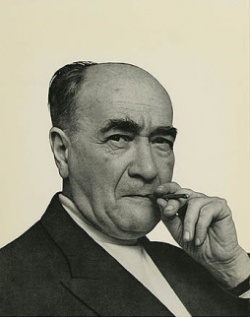 Henryk Berlewi (1894–1967) was a Polish Jewish painter, graphic designer and art theorist. Berlewi is primarily remembered as an abstract artist who paved the way for optical art, but he was also an important figure in Yiddish book design and typography in the early 1920s. Born 1894 in Warsaw to an assimilated Polish Jewish family. Supported by his mother, he studies fine arts in Warsaw (1904–1909), and later at the fine arts academies in Antwerp (1909–1910), and Paris (1911–1912), returning to Warsaw in 1913 to study at the school of design. During World War I, he discovers futurism and Dada and in 1918 meets the futurist Aleksander Wat and the formist Anatol Stern, Jews whose Polish-language verse he later illustrated. 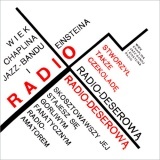 1920 attends El Lissitzky's lecture in Warsaw, for Berlewi a decisive encounter to move to Berlin, where in 1922–1923 he abandons figurative art for pure constructivist abstraction. 1922 participates at the Novembergruppe exhibition. Along with Adler he is chosen to represent Jewish artists from Eastern Europe at the Congress of International Progressive Artists. Meets El Lissitzky, Viking Eggeling (to whom Berlewi devoted article published in 'Albatross' in 1922), and many others (Moholy-Nagy, van Doesburg, Richter, van der Rohe). May-Sep 1923 presents his first Mechano-Faktura compositions in the Novembergruppe section of the Grosse Berliner Kunstaustellung. November 1923 returns to Warsaw. With Strzeminski founds a constructivist group Blok. In his review of the exhibition which accompanied the Congress in Düsseldorf, published in Nasz Kurier, he states that expressionism is obsolete and was replaced by Novembergruppe's dada and by constructivism. March 1924 publishes his theoretical tract being written since 1922, Mechano-Faktura (using mechanical means to create texture), prefaced by the writer Alexander Wat; its basic premise rejects the illusion of space in favor of two-dimensionality; color is reduced to black, white, and red, and visual equivalents of images are accomplished by mechanical means using rhythmic arrangements of lines and simple geometrical forms such as circles and squares. Along with the publication he organises the first mechanofaktura exhibition at the Austro-Daimler Automobile Salon. Summer 1924, invited by Herwarth Walden, founder of the Der Sturm magazine and gallery, to exhibit his mechanofaktura works in Berlin; the German version of his manifesto gets published. 1924 establishes Reklama-Mechano advertising agency with Wat and Stanisław Brucz, that—among its rare realizations—worked on the Plutos chocolate brochure. 1926 he quits his research and returns to figurative art and works as a set designer. 1927 settles in Paris, as did other Polish and Jewish artists. 1928-1938 travels through Belgium and does a few portraits of the political and literary world. At that time, learns that he is seriously ill, and stops the artistic activity whatsoever. 1942 leaves Paris, finds refuge in Nice and enters the French Resistance (1943-1944). 1947 returns to painting. Wanting to "reintroduce the object", he makes still lives inspired by the French masters of the 17th century. 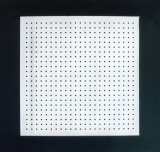 Rediscovered by a French critic, Berlewi takes part in a major Paris show, Precursors of Abstract Art in Poland (1957). Suddenly appreciated again, he also has one-man shows in Berlin (1963, 1964), Paris (1965), Warsaw (1966), Zurich (1974), and New York (1976, 1978). Dies 1967 in Paris. Koło i kwadrat w przestrzeni. Mechano-faktura, 1923. Neo-Faktur 23, 1923. Gouache on paper, 55x44 cm. 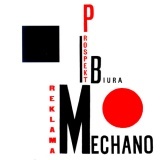 Mechano-faktura bialo-czerwono-czarna, 1924. Gouache on paper, 98x81 cm. Muzeum Sztuki, Lodz. Composition, 1931. Gouache on paper, 61x48 cm. Models, 1962. Baryt print, 36x27,8cm. Photo Edward Hartwig. 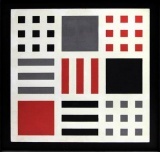 Henryk Berlewi, New York: Helen Serger, La Boetie, in conjunction with Herve Alexandre, 1978, 23 pp. Marcin Giżycki: Henryk Berlewi - Kinefaktura, 3'15", 2012.